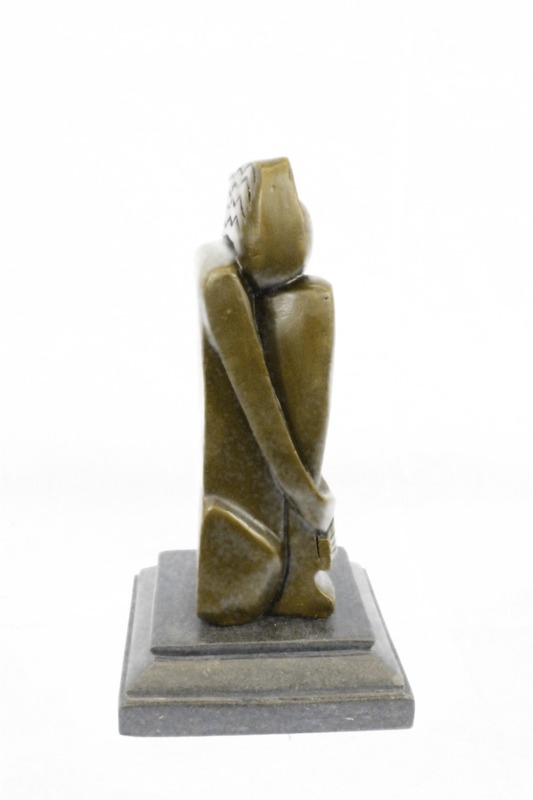 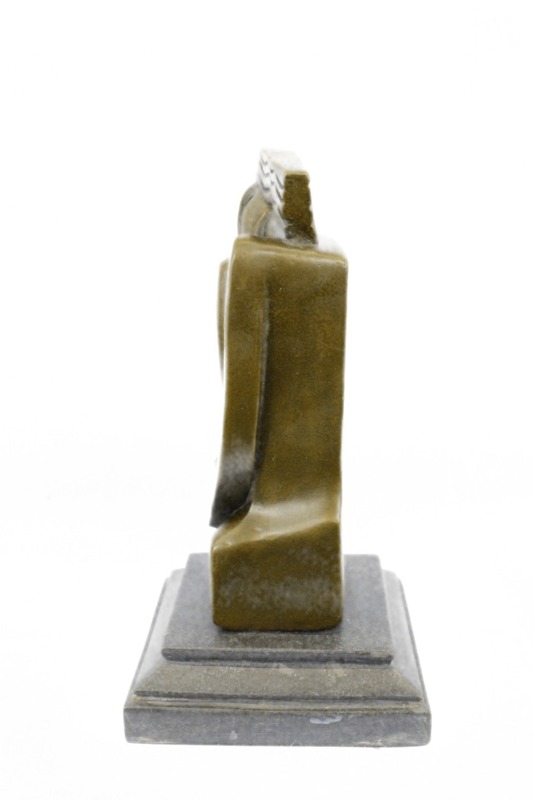 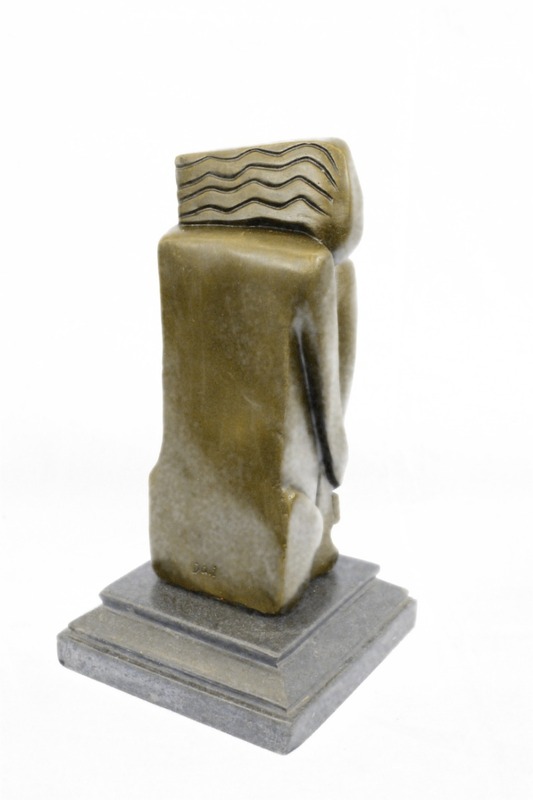 An Abstract Sculpture Of A Woman Seated On Bent Knee With Her Head Resting On One Knee. 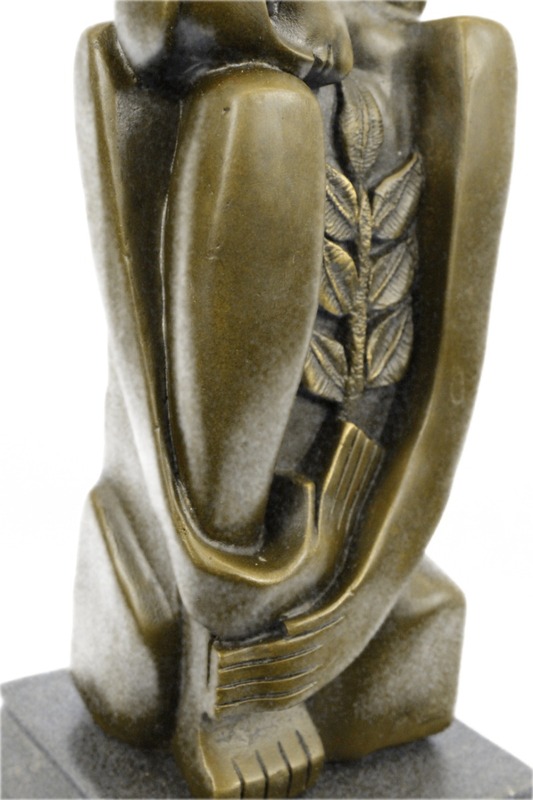 In The Center Is A Long Stem Of Leaves. 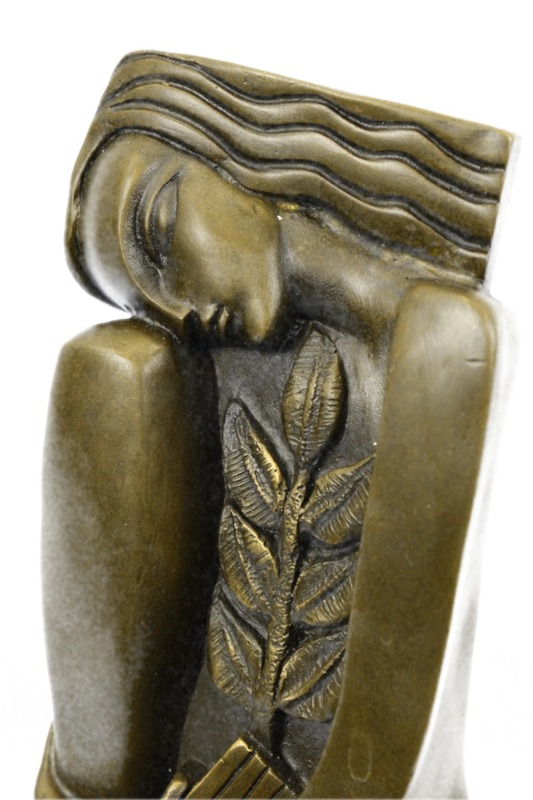 The Lines On The Leaves Are In Opposition To The Wavy Lines Sculpted On Her Hair. 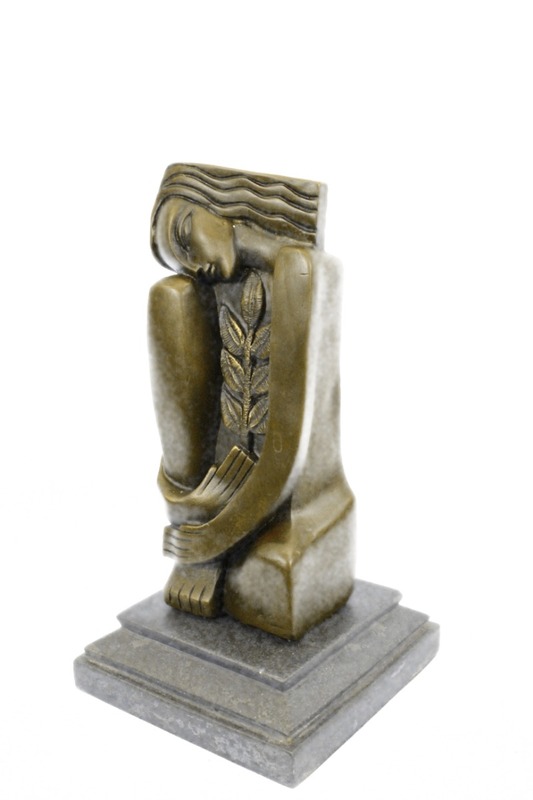 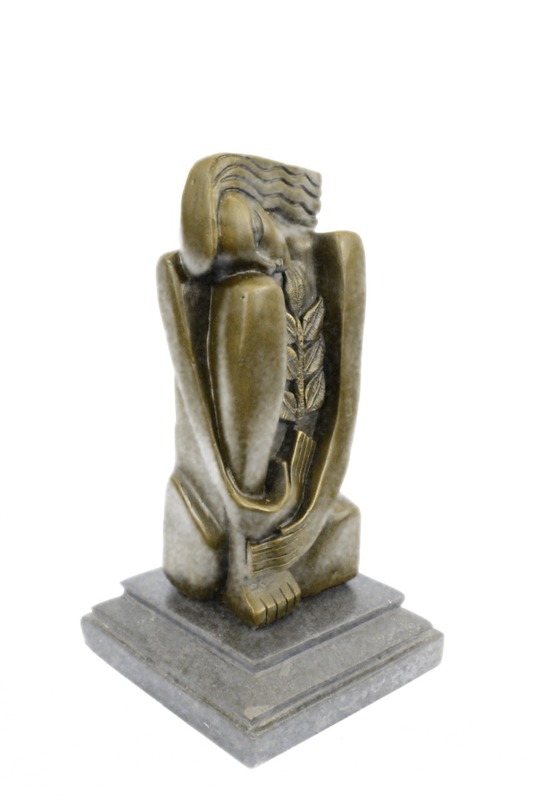 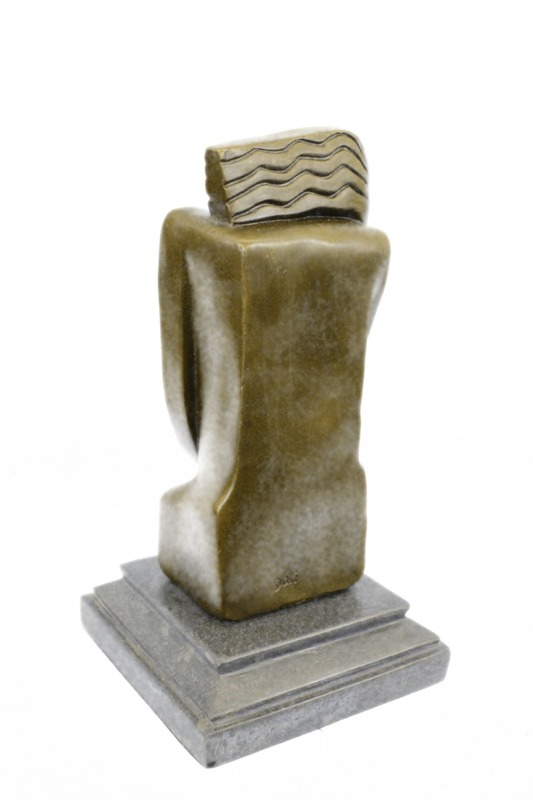 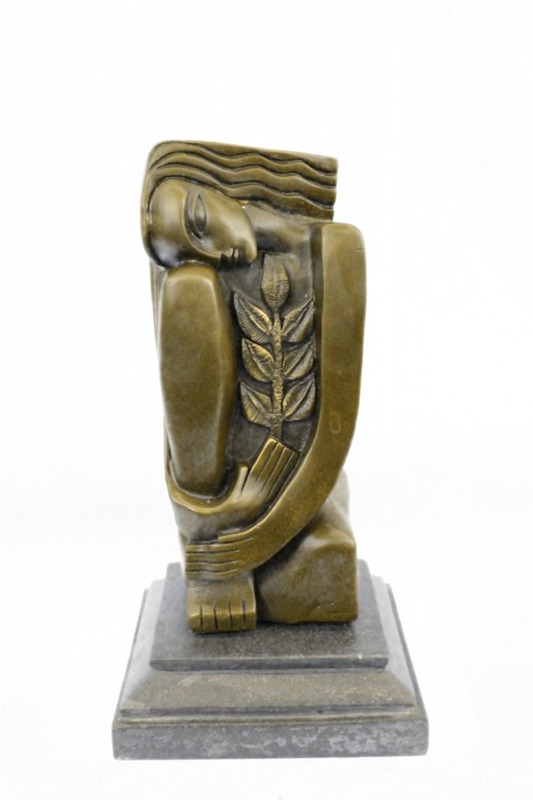 This 100% Bronze Sculpture Is A Vision Of Nature And Serenity Set On A Black Marble Base. 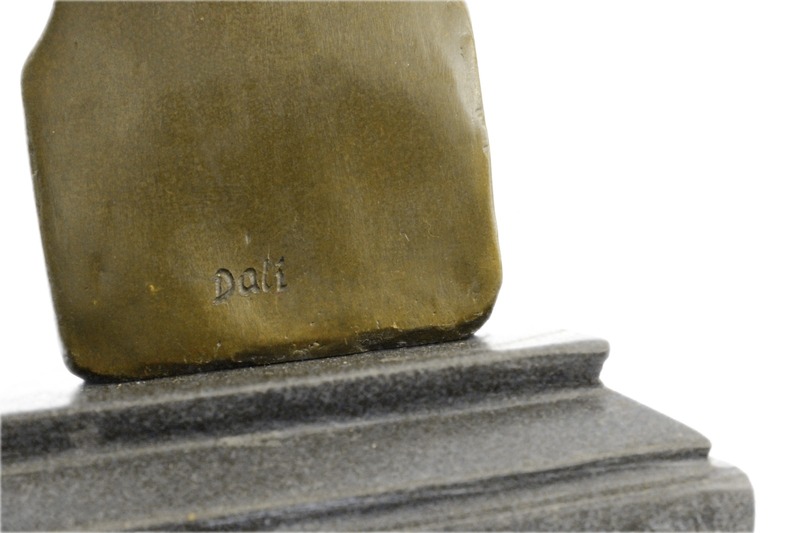 It Is Signed Dali.